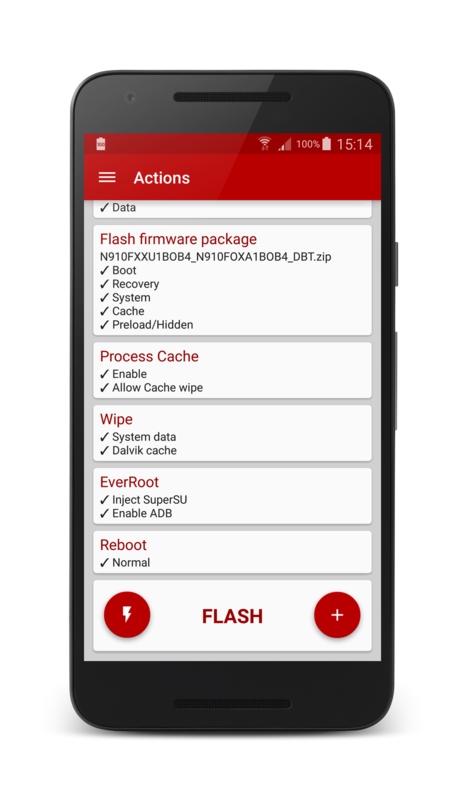 FlashFire is the most advanced on-device firmware flasher available for rooted Android devices. It can flash full firmware packages from various manufacturers, as well as apply over-the-air (OTA) and ZIP updates - all while maintaining root, and without using a custom recovery. It also offers full device backup and restore functionalities in several formats. Relevant files can be stored on internal storage, SD cards, USB connected storage, or can even be streamed directly to and from your computer using USB or Wi-Fi. 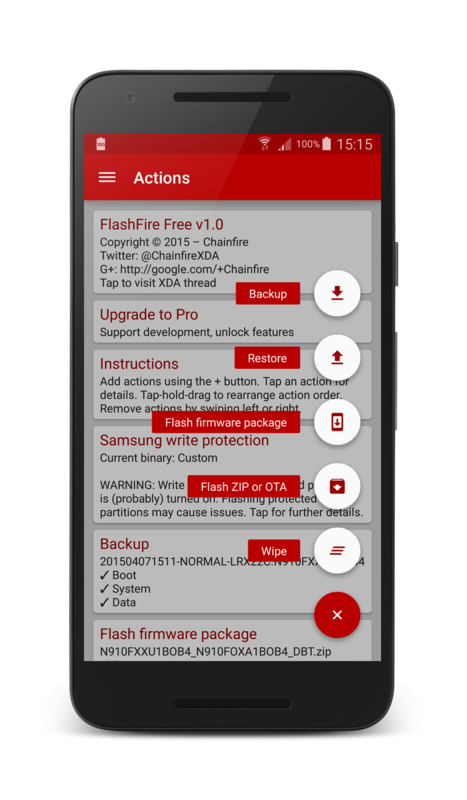 FlashFire is an extremely powerful application, it should be used with caution. Data loss, soft-bricks, and even hard-bricks are possible if used incorrectly. Please see the menu on the left for topics to read up on! While an unlocked bootloader is not strictly necessary for many of FlashFire's functionalities, we strongly recommend all root users to run unlocked if possible. With locked bootloaders, there is a much higher chance of a device being unrecoverable if something goes wrong. This is not just true for FlashFire, but for many root apps. The specifics are device dependent. While FlashFire is primarily developed and tested on Google Nexus and Samsung flagship devices, basic testing has been done on many other brands and devices, and users are using it succesfully on many more. You can upgrade to FlashFire Pro from within the app itself. At the time of this writing, there is no special functionality unlocked by upgrading to Pro. For now it is just to show your appreciation for the app. Owners of Mobile ODIN should note that having Mobile ODIN Pro installed - even if incompatible with this device - will also unlock FlashFire Pro. You will still be offered a (much cheaper) in-app purchase to officially upgrade to FlashFire Pro, so you do not have to keep Mobile ODIN installed for the future.